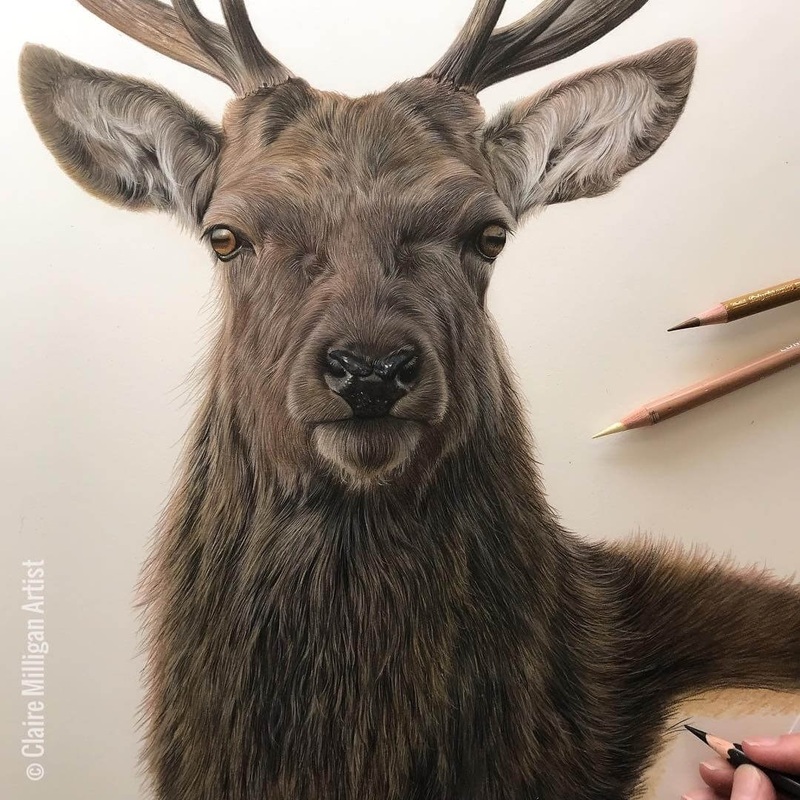 The kind of quality of finish, usually reserved for photographs. 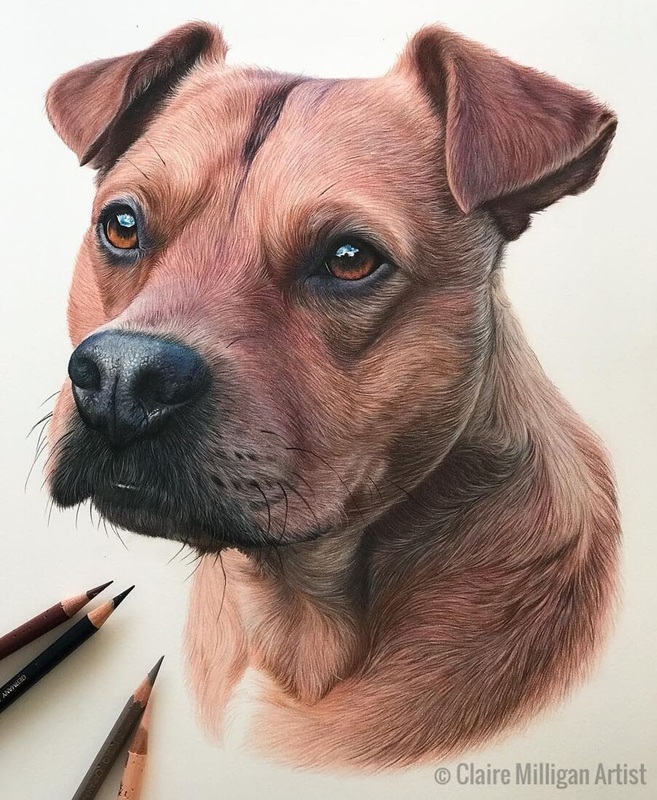 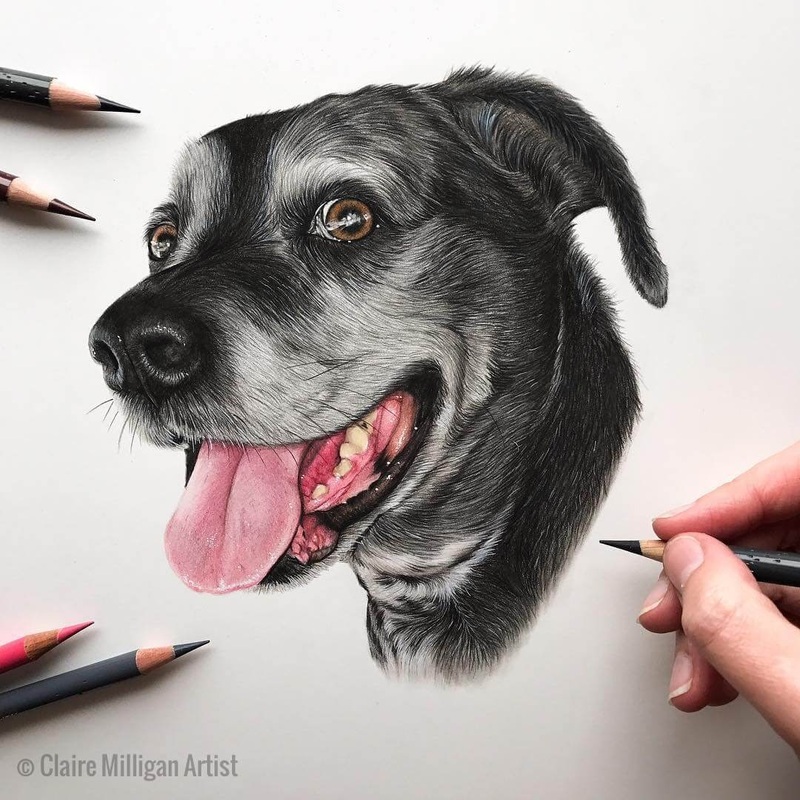 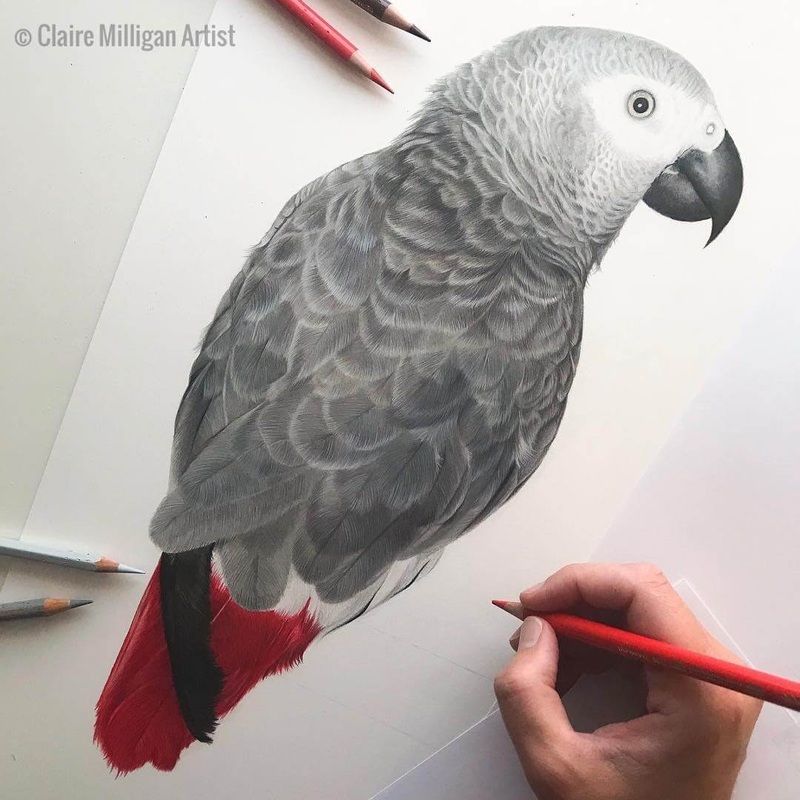 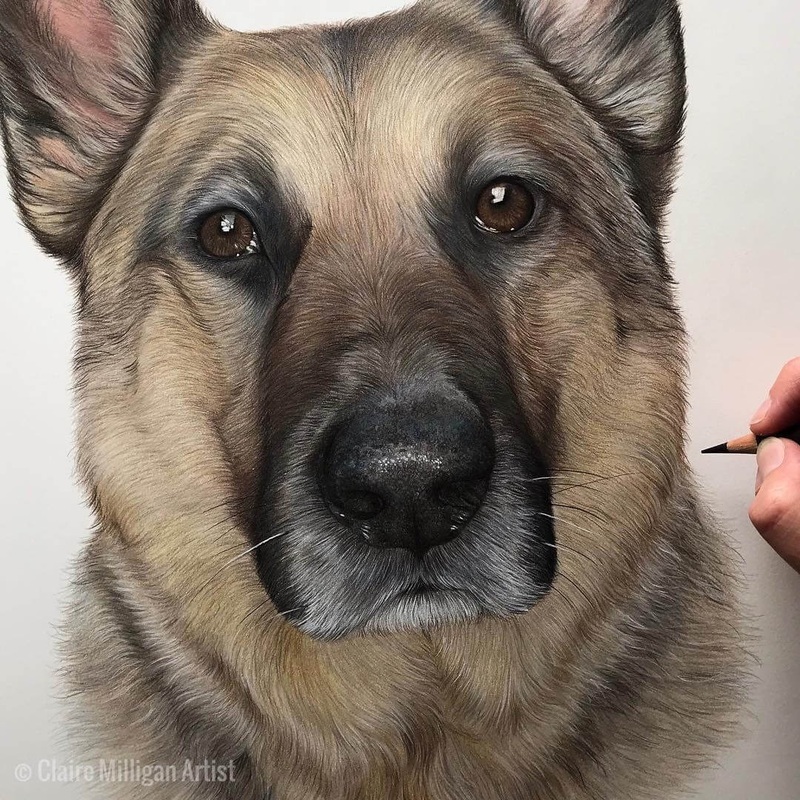 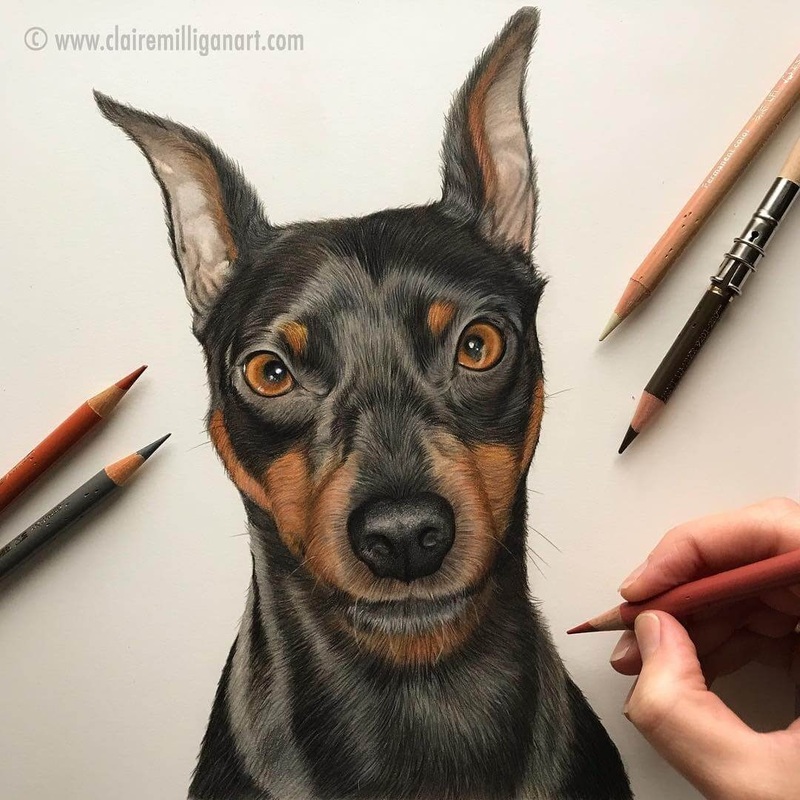 Claire Milligan is a professional pet portrait and wildlife artist, more of her work here on DesignStack, below. 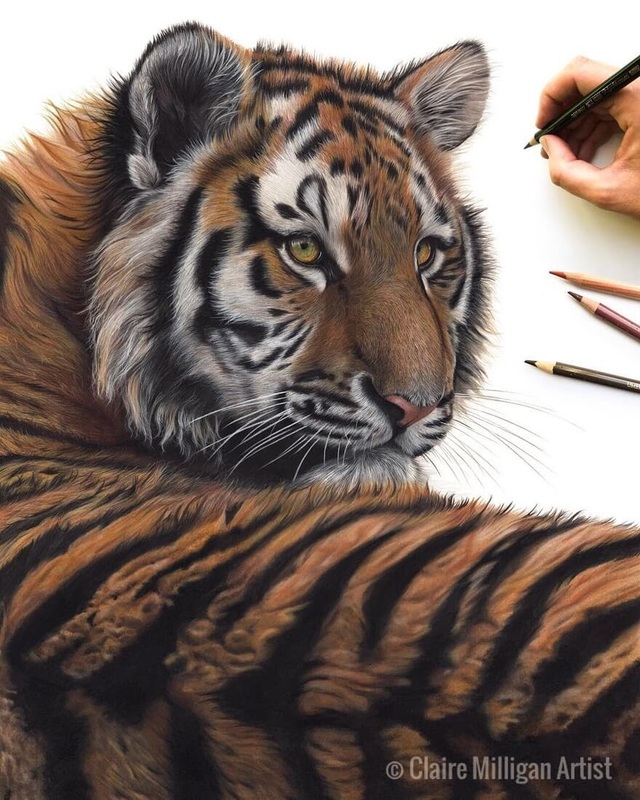 When I look at artists' work, I sometimes have a favourite or favourites. 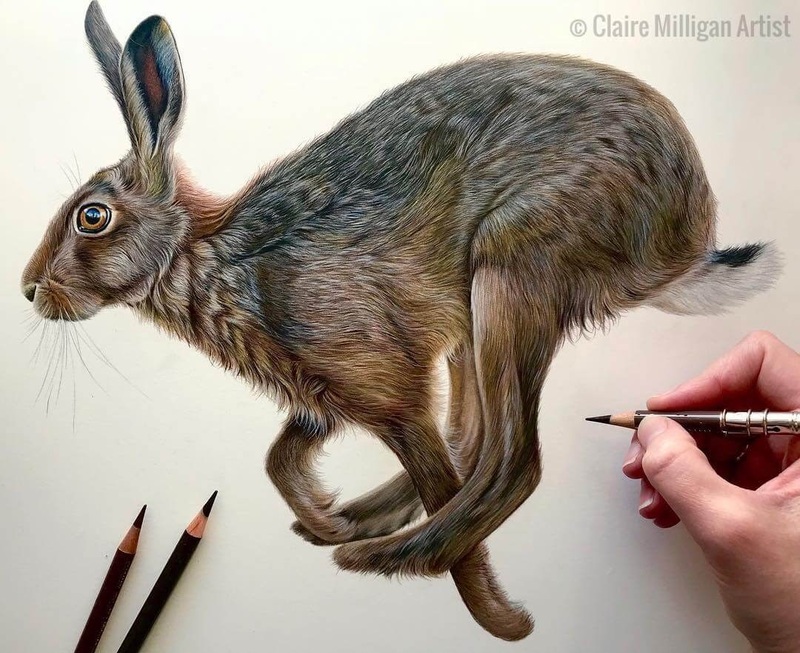 Milligan makes this, very difficult if not impossible. 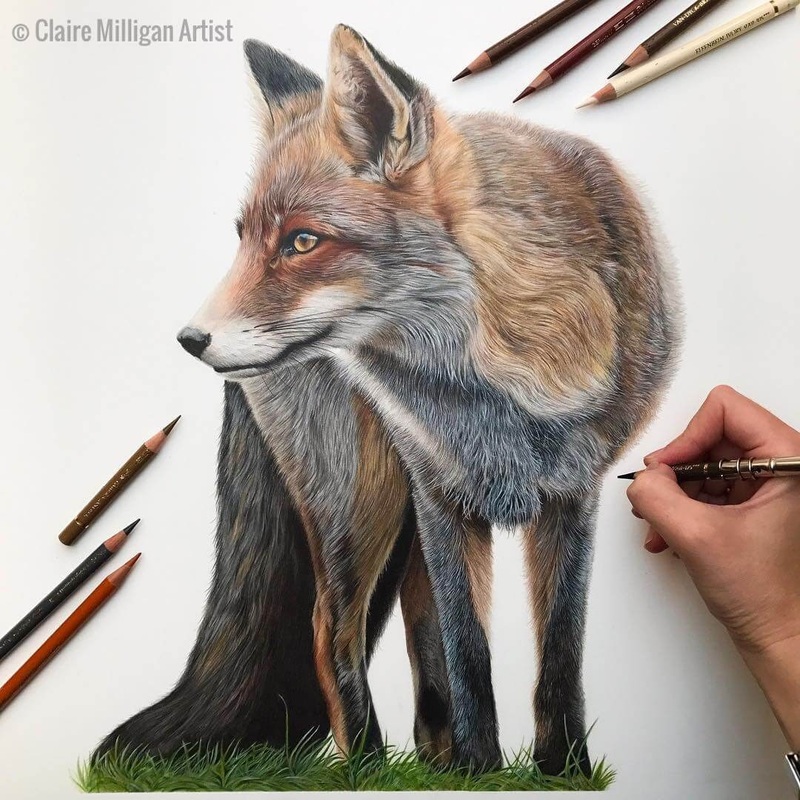 There are different features and details, that make these drawings so interesting and complex. 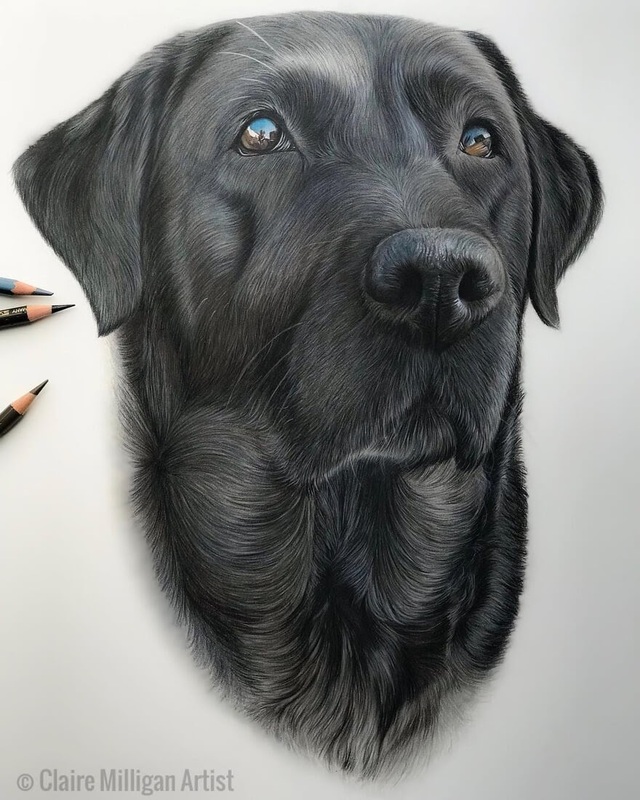 My advice is to press the image, to enlarge it and just take in the result of all the work, that has gone into these drawings, to get them to this level of finish. 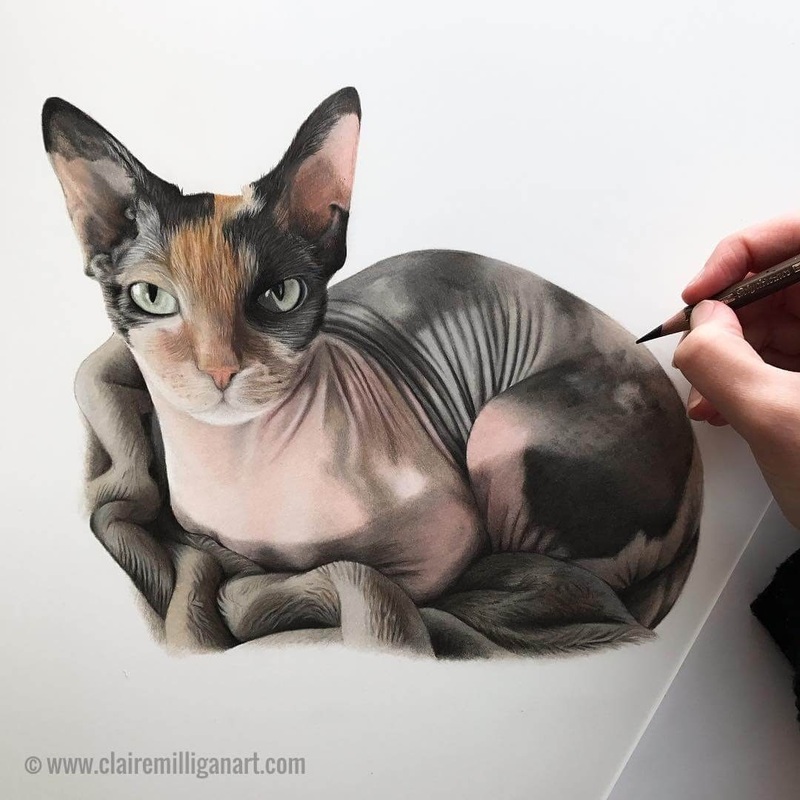 Harley Quinn the Sphynx Cat. 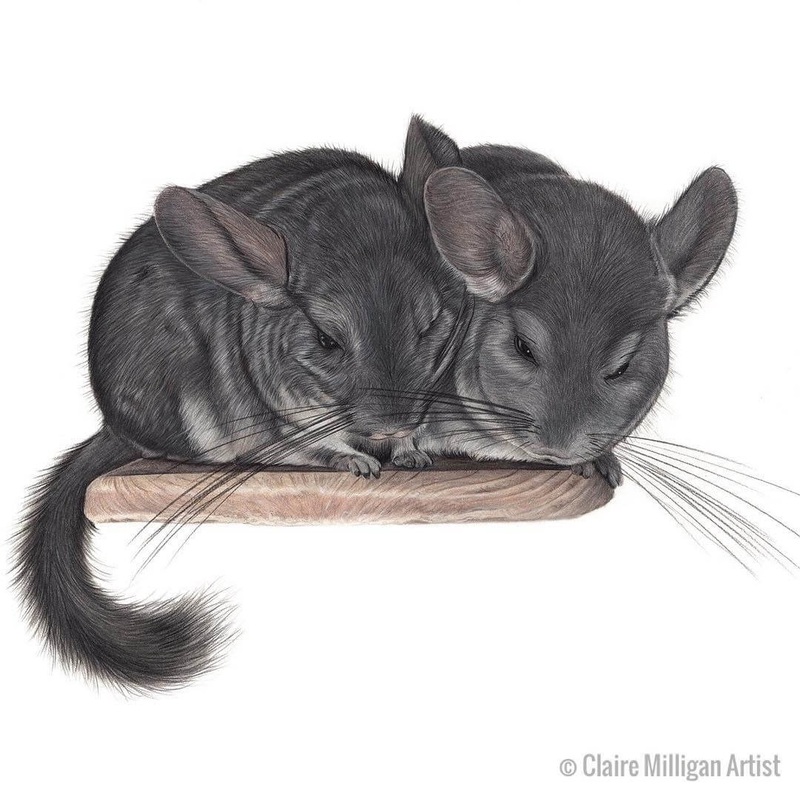 Chinchillas named Krümel and Crêpe.